From the Star Wars collection by Plasticolor. Star Wars Darth Vader 2-Piece Side Window Mesh Sunshades. From the Star Wars collection by Plasticolor. 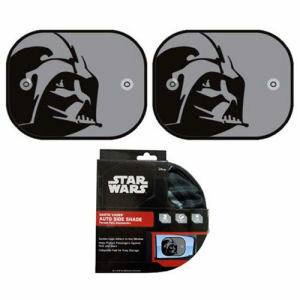 Star Wars Darth Vader 2-Piece Side Window Mesh Sunshades. Each Shade measures approximately 14 inches tall by 17.5 inches wide.